It&apos;s been a crazy week in Loudoun as everyone headed outside just a few days ago to witness the solar eclipse. We don&apos;t think that energy and excitement should just fall to the wayside! Keep the party going this weekend in Loudoun with great events at some of your favorite wineries like Bluemont Vineyard, Breaux Vineyards and Creeks Edge Winery. 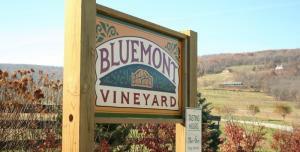 Bluemont Vineyard is celebrating their 10 year anniversary in Loudoun this weekend! Head up 951 feet of elevation to their tasting room for this end-of-the-summer party that will be filled with live music, delicious wine slushies and oysters! It&apos;s time again for Breaux Vineyards&apos; annual Dog Days celebration! Visit the winery this Saturday for live music and wine tastings in addition to all the furry fun like trick contests, doggie vendors, rescue organizations and more! 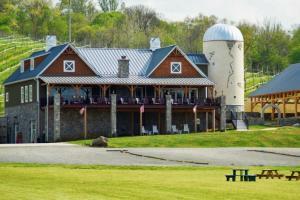 Get ready for a wonderful evening and wine and creativity at Creek&apos;s Edge Winery&apos;s paint night! Local artists, Jill Perla, will guide you through the painting session paired with great wine, or course. Reserve your seat today.